As you will certainly be aware, there has been a great deal of media coverage recently regarding the funding crisis in schools culminating in the head teachers’ march on Downing Street last month to highlight the problem. Woodroffe has always managed to set a balanced budget - and will probably be able to do so again next year - but there is no escaping the fact that schools are desperately short of money. The Secretary of State for Education regularly points out that more money is going in to education than ever before, but he conveniently ignores factors such as inflation and rising pupil numbers. In fact, education funding has declined year on year and now means that schools are resorting to drastic measures to keep afloat. The UK Statistics Authority has had cause to write to the Department for Education with concerns about its use of data on four occasions in the past year. David Norgrove, the head of the authority, said, ‘I regret that the Department for Education still does not yet appear to have resolved the issues with its use of statistics.’ The most recent occasion was when the DofE boasted that the UK was one of the countries in the world that spends the most on schools, omitting to point out that it had included university fees and fees for private education in its calculations. 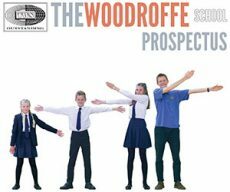 It is against this background that the success of The Woodroffe School has to be measured. Despite the fact that Dorset is one of the worst funded local authorities in the country, we have managed to stay afloat financially. Not only that, we continue to top the league tables in virtually every category. Our staff are specialists and highly skilled, and the school continues to grow and flourish. 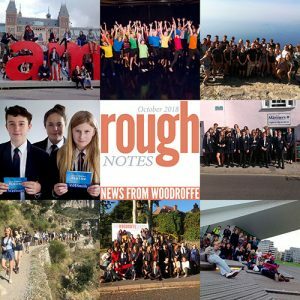 As always, a glance through this edition of Rough Notes, sums up the success of the school. Put simply, it’s a great place to be.